As we age, our joint cartilage degenerates. The cushions between joints gradually wear out and friction develops between bones, which limits movement. 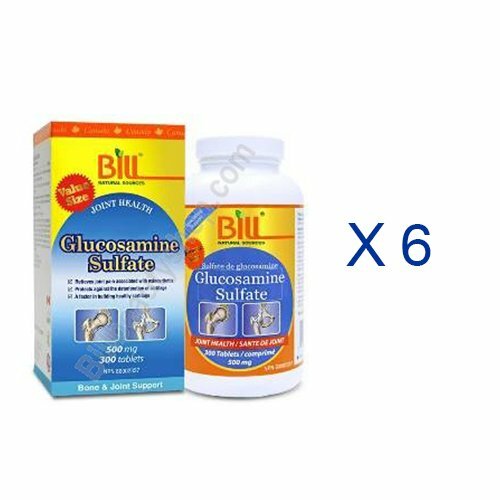 Bill Natural Sources® Glucosamine Sulfate is sourced from shellfish, a major building block of the proteoglycans that lubricates and nourishes the collagen in our joints. It can stimulate hyaluronic acid, which is an important component in the joint cavity that helps soften tissues and retain lubrication and water. Today Glucosamine Sulfate has helped change the lives of many people who want to maintain healthy joints. If you have any questions about this product by Bill Natural Sources, contact us by completing and submitting the form below. If you are looking for a specif part number, please include it with your message.